Healthcare provider organizations continue to fight the battle that is played out over the last several decades: how to deliver the highest quality, safest and most cost-effective patient care, while simultaneously reducing costs, improving performance and gaining efficiencies? Today, providers are gaining ground by teaming with technology partners that give them scalable technology solutions that cover end-to-end business processes, ongoing support, knowledge sharing, analytics and benchmarking, and continually updated best practices. Inventory Optimization Solution (IOS) has been helping provider organizations for nearly 15 years by deeply immersing itself in the providers’ supply chain world to understand both challenges and opportunities. Together, IOS and its customers have undertaken end-to-end supply chain performance improvement; working together to document best practices, refining and continually improving processes, and addressing long-standing gaps between technology systems and manual efforts. The healthcare providers today are propelled by mergers and acquisitions, challenging them to manage across facilities—beyond the four walls of the hospital, across legacy systems. Getting solutions to span these newly formed organizations is a huge challenge, especially as hospitals acquire facilities in the non-acute space, which brings a whole different set of issues. Things we have discussed for years—especially aligning people, process and technology—is now game-changing. CIOs need system integration and data sharing that goes beyond legacy capabilities. With the struggle to maintain technologies across facilities, cloud-based solutions are becoming even more attractive, delivering lower cost and less impact on IT teams. 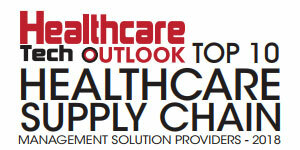 “Provider organizations want to grow their supply chain sophistication and need solutions that extend the capabilities of their team,” said Britt. Supply chain team members who have been operational now access reporting tools and analytics that take planning, forecasting and management processes to strategic levels. There is a growing demand for mobile capabilities, as facilities deploy smartphones and tablets to facilitate supply chain management from anywhere. “We see Envi customers using IOS technology to solve a broad range of problems.” IOS technology provides a single point of access that drives efficiencies in the form of improved inventory control and tracking, reduced cost of inventory, on contract purchasing, automated workflow, electronic submission of all orders, price matching, approvals. IOS will continue to focus on driving efficiencies and savings for its customers—not only technology enhancements but also helping address the back office issues they struggle with today. The company’s goal is to build end-to-end supply chain automation, and in turn, greater savings and efficiencies for every customer. “Because we share our users’ commitment to delivering the best patient care, we have applied our expertise to developing the best practices in supply chain management for healthcare organizations,” concludes Britt.